Directed by Matthew Heineman. With Rosamund Pike, Tom Hollander, Jamie Dornan, Faye Marsay. 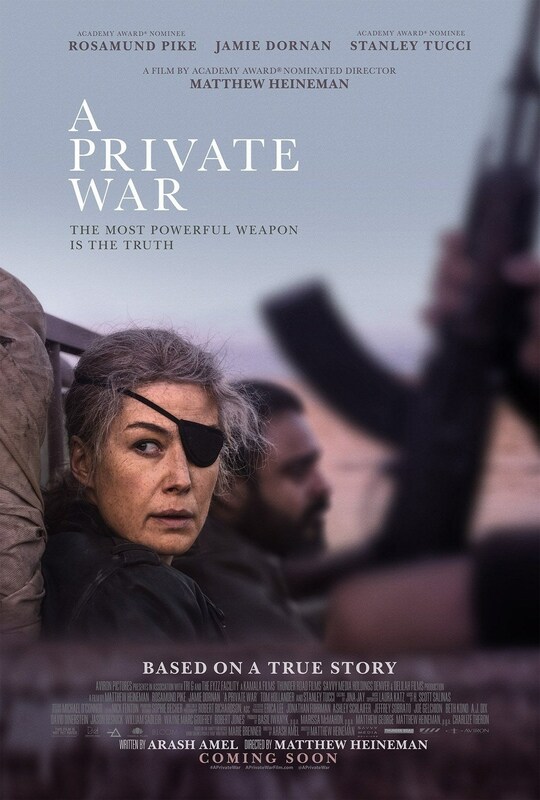 One of the most celebrated war correspondents of our time, Marie Colvin is an utterly fearless and rebellious spirit, driven to the frontline of conflicts across the globe to give voice to the voiceless.